Austin, TX-based singer-songwriter, guitarist and harmonica player Steve Power – who's been described as "Dave Edmunds meets The Fabulous Thunderbirds on the way to see Led Zeppelin" by CBS TV, started his career as a kid singing duets with his mother in a San Diego piano bar. But it was an exposure to the blues, tuning into far away radio late at night while hiding in his closet so his step-father wouldn’t catch him, that lit the fuse and led to Steve creating music in several countries with a long list of world class players. Out of high school, Steve hitch hiked the United States from border to border and coast to coast. Then packed up his guitar and moved to London, before settling in Wales where he made his first recording– a two-track EP by his band Lincoln and The Continentals, "House of the Rising Sun" (done bluegrass style) which was featured in Ted Anthony’s book “Chasing the Rising Sun, a history of the iconic song and the stories surrounding it. The B side was a New Country before there was New Country take on Louis Prima's "Jump, Jive and' Wail" (that preceded Brian Setzer's Grammy-winning revival of the classic by many years). The band received an offer from Mike Vernon, legendary producer of early Fleetwood Mac, Eric Clapton, Peter Green and many other UK stars. Unfortunately Steve could not convince the rest of the band to follow through and it became one of Steve’s professional near misses. Next Steve led what was the hottest rocking blues'n'roots combo on the Wales and England pub circuit, Sting Like a Bee, whose 1990 self-titled album launched them to cult hero status in Europe. After a move to Holland, he conceived a Blues Brothers theatre act, Cotton & Morganfield, performing across Europe from brothels to stadiums (with a written endorsement from Elwood Blues himself via Dan Ackroyd). His first album under his own name as a singer-songwriter, The Journey, produced by multiple award winning songwriter and former Dave Edmunds bassist John David, was hailed as "an elegant collection of pure atmospheric moments" and "so good that it is totally a treasured possession" by Belgium's Rootstime. A number of its tracks enjoyed Top 5 success on European roots and alternative country charts. 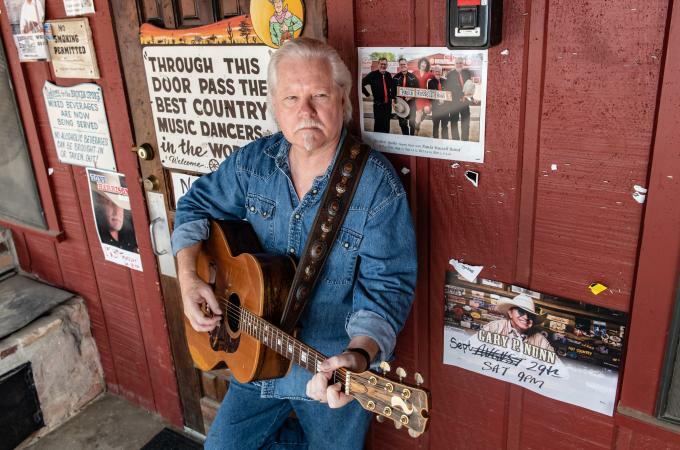 Americana UK observed, "He can turn his hand vocally to any type of music from rock to blues to gospel to ballads – and manages the transition between these different genres with the greatest of ease." Since arriving in the Texas capital in 2003, Power has established himself as a solid and versatile musical presence on the world-renowned Austin scene. He has issued two EPs, Somewhere in Texas, cut in collaboration with former Joe Ely guitarist and Texas musical legend Jesse "Guitar" Taylor, followed by “Nothin’ On The Radio” with Johnny Cash ex, Earl Poole Ball, and master of , Casper Rawls. In 2013 came Steve’s second solo singer-songwriter album, "The Austin Chronicles", with an A list of Austin players including the fabulous Carolyn Wonderland helping out on backing vocals. Steve at the same time took on the project of bringing iconic East Austin bluesman, Matthew Robinson, out of the shadow Matthew’s career had fallen into. Forming Matthew’s backing band The Jelly Kings. Matthew Robinson & The Jelly Kings became fixtures at world renown Antone’s, “Austin’s Home of the Blues”, won the Heart of Texas Blues Challenge, were a finalist at the Memphis IBC, and Living Blues Magazine Critics and Readers Awards “Artist Deserving More Attention”. Backed by the best of the world renown players that Austin has to offer, Steve’s” recent full length release, the aptly-named "Power Lines", transmits the lessons learned in decades of living music, telling more stories than Sherezade and a sure sense of how to make music that captures the ear of anyone that loves a well-crafted song, performed by world class musicians and sung by a guy who knows what he’s doing.